A few incidents lately have prompted me to write this item as a reminder to us all that we need to be much more aware of the effect some of our actions, both deliberate and unintentional, have on the wildlife around us. These come in no particular order and I trust they are taken in the round. 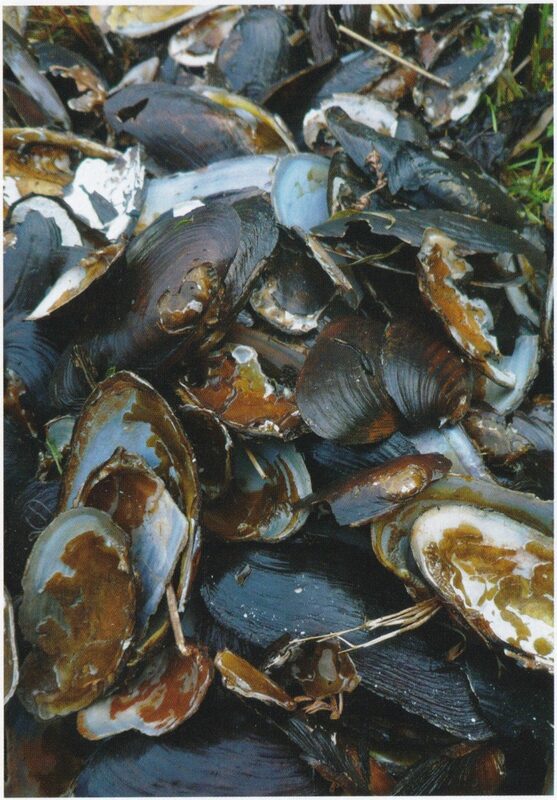 Sometime during the last two months several dozen freshwater pearl mussels, Margaritifera margaritifera, were deliberately and illegally killed in Assynt in the off chance that one or more might actually contain a pearl. A few of Assynt’s clean, fast-flowing rivers contain this critically endangered species which actually benefit the whole river system. They feed by drawing in river water and filtering out fine particles making them vitally important to other species that need clean water, especially salmon and trout. These fish themselves play a vital part in the lifecycle of the mussel. The mussel larvae attach to and harmlessly over-winter on the gills of juvenile fish before dropping off and burying themselves in the river bed where they continue to grow. The mussels then take 12 to 20 years to mature and can live to be 100 years old. Very, very few of the mature mussels are ever likely to contain a pearl but that doesn’t stop people killing huge numbers of them. The ‘traditional’ notion of someone wading in a river and using a cleft stick and a glass bottomed bucket to search for and remove mussels doesn’t always apply. Some of Assynt’s rivers are so shallow and clear that criminals can simply walk up the river and see the mussels without needing to use the ‘give-away’ tools. The good news is we can help deter those who might consider plundering our natural world for their own gain. 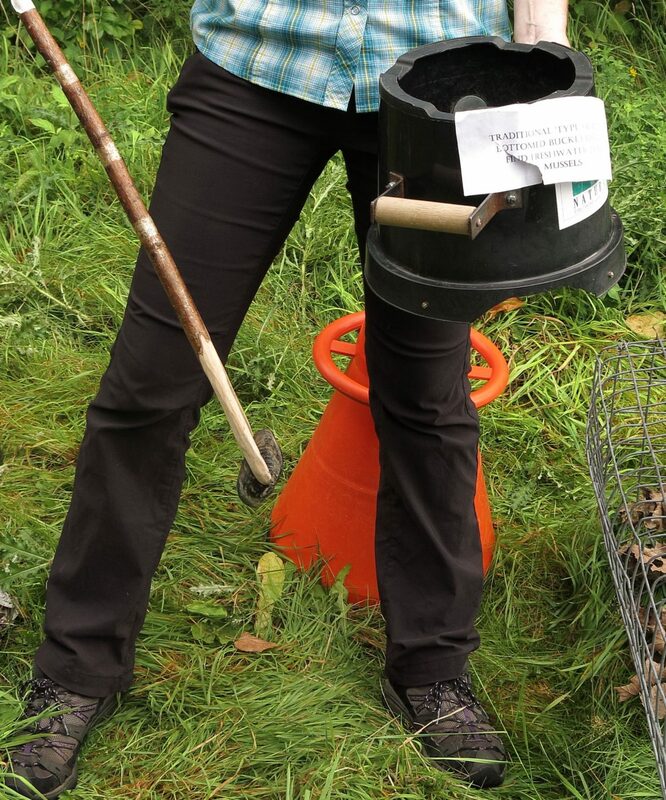 Contact the Police on 101 and ask for the Wildlife Crime Officer; if a crime is in progress then call 999. DO REPORT ANYTHING SUSPICIOUS no matter how small as evidence of wildlife crime is not always obvious. Moving from freshwater to the marine environment. Wednesday 9thMay 2018 and employees of Loch Duart Salmon were heading down the Oldany Channel by boat to their work on the nearby fish farm when they spotted a seal hauled out on rocks near Oldany Island. Not an unusual sight in Assynt, but sadly this seal was clearly injured and appeared to have mono-filament fishing gear tightly wound around, and cutting into, its neck. The unintentional garrotte had clearly been around the seal’s neck for a considerable time given how deeply it had cut; this happens slowly as the animal grows but, of course, the offending item doesn’t. A couple of phone calls later and the British Divers Marine Life Rescue (BDMLR) had been contacted. This brilliant organisation has trained volunteers all around the country who will, if necessary, respond to live standings of marine mammals. One local volunteer, after obtaining some photographs of the seal from the Loch Duart staff, spoke with BDMLR and the SSPCA. 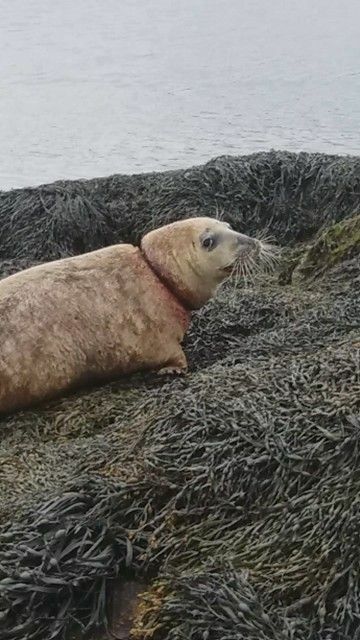 It was clear from the images that the seal was a sub-adult Grey Seal, Halichoerus grypus,and that any recovery exercise was going to be very painful and stressful for the animal and would, given its location, be difficult and dangerous to accomplish. Sadly, all came to the same conclusion that the only viable course of action would be to euthanize the injured seal. Seals are protected species and it is an offence to intentionally or recklessly kill, injure or disturb them without a licence. If, however, there is an urgent welfare issue concerning a seal it can be humanely killed without a licence. After informing the Police arrangements were made to have a professional marksman euthanize the seal by shooting it. This was carried out early the same evening. A painful life for the seal, as can be seen from the attached photo, and a very upsetting end to it. Both, of course, completely avoidable and unnecessary if only our species could learn to dispose of its unwanted items safely and with full consideration to the other animals we live side by side with. At this time of year there are regular reports of dogs scaring, chasing and even attacking lambs; these are not pleasant events and cannot be defended. However, as a person who enjoys all the wildlife Assynt has to offer my concern at the moment is the disturbance caused to many of our ground nesting birds by dogs running free. While such dogs may not set out to deliberately kill the adults or chicks or even eat the eggs they can, by putting up the parent bird, leave the nest/chicks unprotected allowing a ground or avian predator to have a free meal. One quick example of the effect. We are probably aware of the large number of Meadow Pipits Anthus pratensis all around us just now. 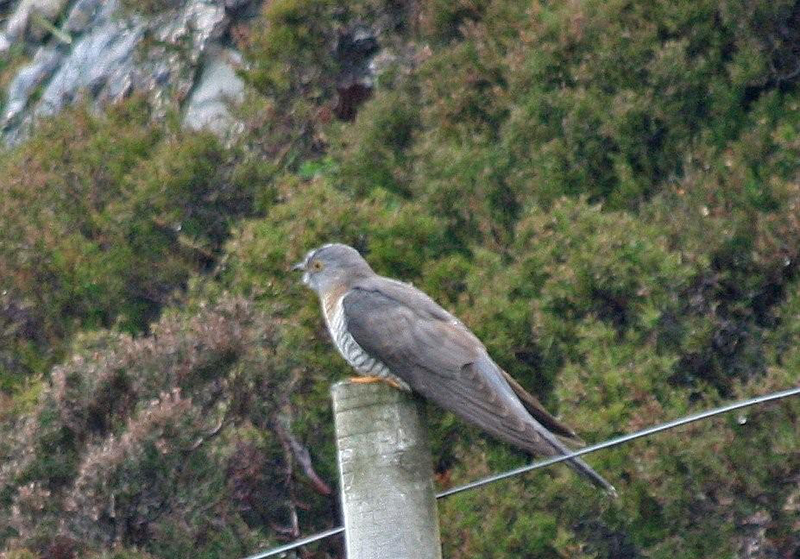 In this area of Scotland, the ‘mipit’ is the main host bird for the Cuckoo Cuculus canorus. Meadow Pipits are ground nesting birds and Cuckoos are in serious decline so if an already parasitized nest is disturbed and robbed that is another potential Cuckoo lost. 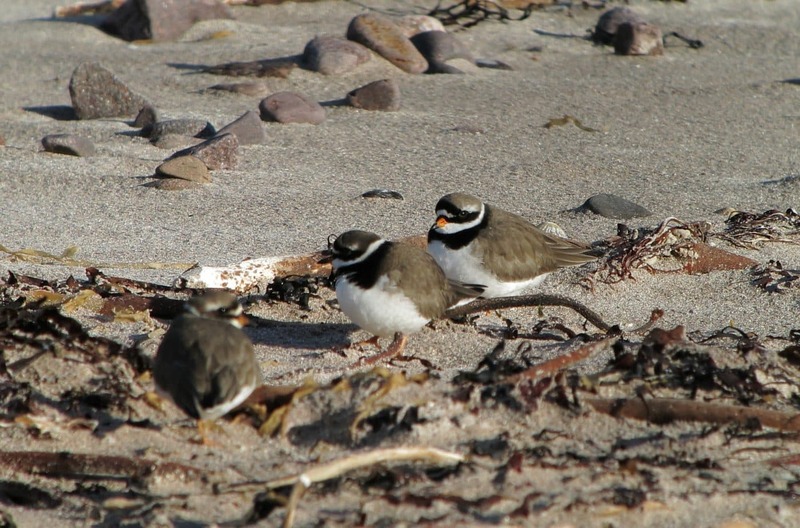 The risk to ground nesting birds is not limited to rough grassland but also to birds nesting on our beaches, in particular Ringed Plover Charadrius hiaticula. 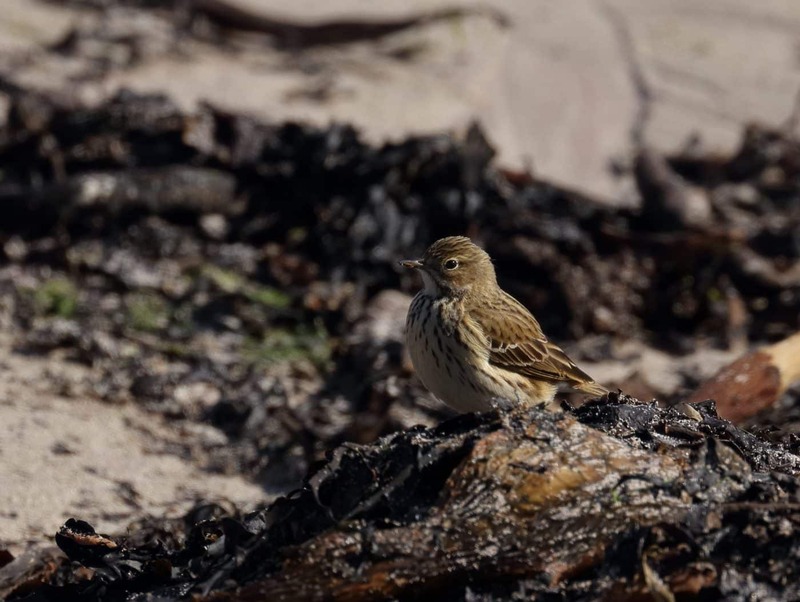 They are very well camouflaged so we often don’t see them but, as we approach, or a dog is exercised on the beach the adult bird will always leave the nest to protect itself and to try and draw attention away from the nest. Again, the eggs/chicks are left exposed. So please at any time, but particularly at this time of year, keep your dog on a lead or under close control and help protect what very many people so appreciate about Assynt, our precious wildlife.